Q: WHO is this camp for? 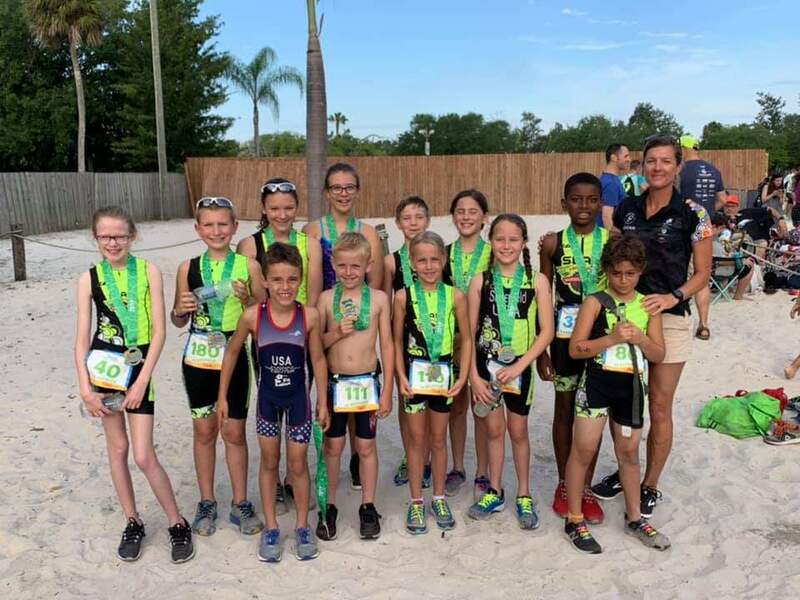 A: ANY youth triathletes that want to come train, learn, and have fun with the SLAPPERS! "YOUTH" camp is for 7-9 year olds. "SENIOR" camp is for 10 years and older. We will limit the number of participants to 10 athletes at each camp. Q: WHAT is included in camp? A: All expenses are included in camp. Meals and snacks will be provided. June 5th Splash & Dash is included. Cabin rental is included. Coaching fees are included. We will post a "Packing List" soon. check-in at 4p on Monday, June 3rd at Lake Louisa State Park. drive straight to Waterfront Park to compete in the Splash & Dash event (starts at 6:30p). check-in on Wednesday, June 5th at 8am at Lake Louisa State Park. pick up your SLAPPER from Lake Louisa State Park on Friday, June 7th, at 11a. A: Camp will be held at Lake Louisa State Park in Clermont, FL. We have reserved Cabin #1 for the duration. All activities (except the Splash & Dash event) will take place inside the beautiful state park. Open water swimming in Lake Louisa, biking on the quiet, safe roads within the park, and running on the miles of off-road trails. Q: WHY are we hosting this camp? A: Summer has just started...let us get those kids out of the house and active for a couple days! It's also the week before the Heartland Kids Triathlon...so a perfect tune-up and preparation for the big race! Coach Morgan will be on-site for the duration of camp, including sleeping over in the cabin. Coach Michelle will be the assistant coach during the day sessions. Let our expert SLAP Coaches teach your SLAPPERS how to be faster triathletes with swim, bike, and run training. We will also work on inter-personal skills with ice-breaker games and team-bonding games activities. Q: HOW MUCH is camp? A: $325 for #SLAPPERS paying the monthly-tri-team-training fee**; $375 for all others (athletes do not have to be local or part of the SLAP Tri Team to attend camp! ).